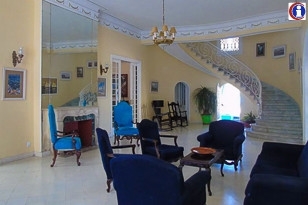 Hotel E Mirazul is a boutique hotel located in Quinta Avenida or Avenida Las Americas, considered by many the most beautiful street in Havana. 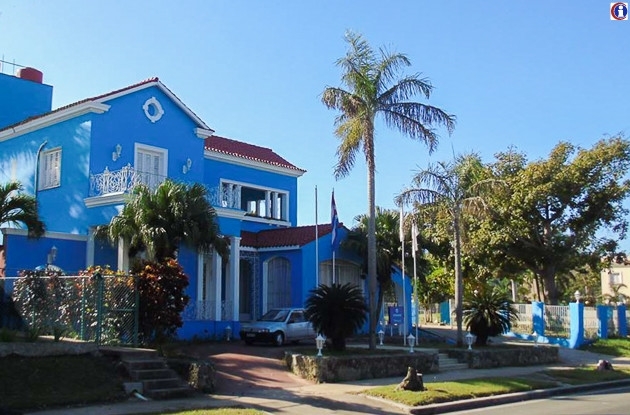 Ehotel E Mirazul, inaugurated on 5th December 2017 is well suited for travellers who seek a more private and quiet atmosphere after a day exploring the vibrant Havana. With only 8 rooms, Mirazul offers a very private and cosy atmosphere, six of them are standard, one junior suite and one mini-suite. Mirazul Hotel offers a restaurant open for breakfast, lunch and dinner and a 24-hours bar which offers snacks as well as national and international drinks and cocktails. 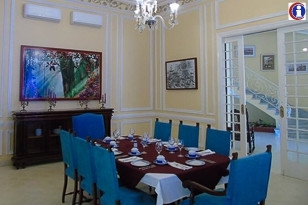 The hotel is also ideal for small private receptions and meetings with a dedicated area. 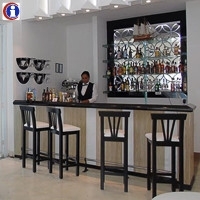 Thanks to the helpful staff at Hotel Mirazul, guests will be able to enjoy a personalised service which will make their experience unforgettable. 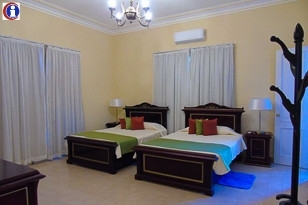 The standard rooms at Mirazul Hotels are simple and modern, all equipped with en-suite bathroom and twin beds. 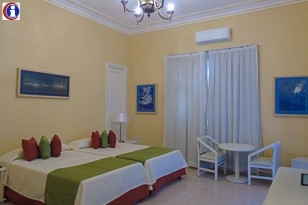 The Junior Suite at Hotel Mirazul offers a bedroom with twin beds connected with two more rooms with a single bed, a small living room and a bathroom. The Mini Suite offers a bedroom with twin beds, small living room and bathroom.